Sick track up in here from two legends of different era’s! Bronson and Kool G Rap bless the mic for this hype track dedicated to the largest borough in New York… ‘Queens’ be’be’!!! Follow the player for an exclusive chance to buy the limited 7″ which’ll be released 23rd July. 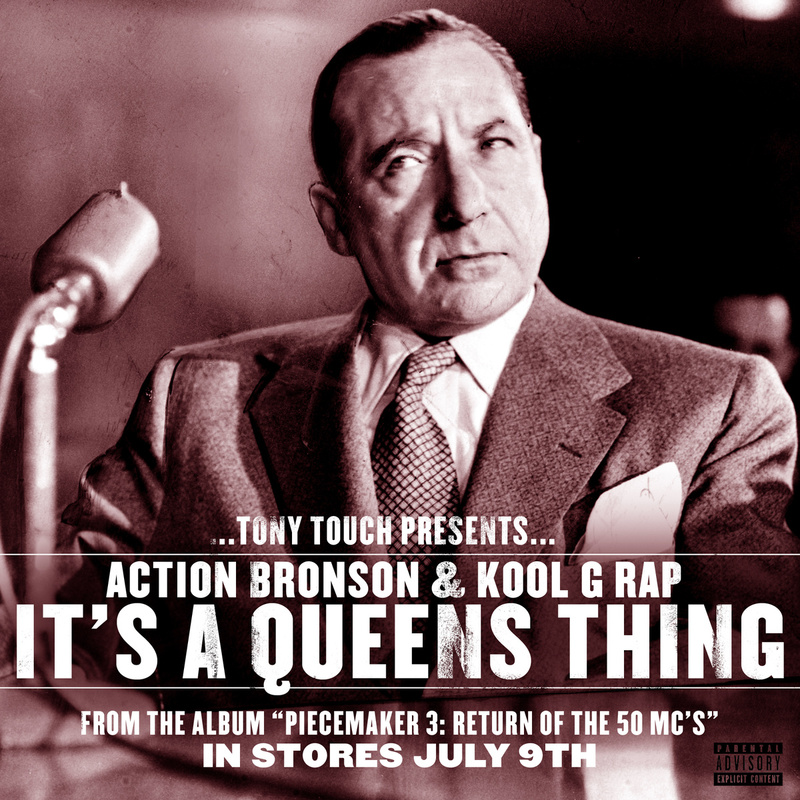 The track is taken from Tony Touch’s ‘Piecemaker 3: Return of the 50 mc’s’ album droppin 9th July. BOOOM ! ! !